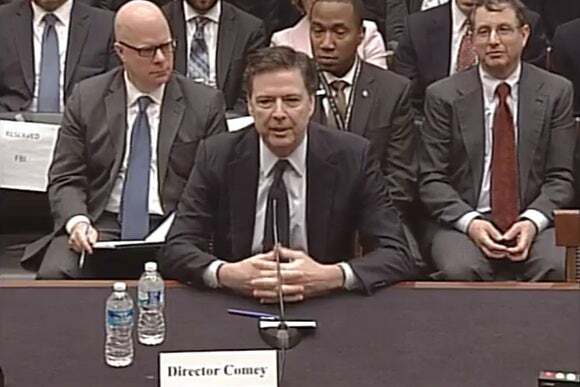 FBI Director James Comey said the FBI bought the tool. Only the iPhone 5c running iOS 9 can be unlocked by the tool the FBI bought to crack the iPhone used by one of the San Bernardino killers. The tool does not work on the iPhone 5s or 6, so it only addresses a “narrow slice” of iPhones, Federal Bureau of Investigation Director James Comey said late Wednesday at Kenyon College. The government is considering whether it should disclose to Apple the flaw that aided the hack: “We just haven’t decided yet,” he said at the Ohio college’s Center for the Study of American Democracy. A court in California ordered Apple to help the FBI to hack by brute force the passcode of the iPhone 5c. The government was concerned that, if an auto-erase feature was activated on the phone, the data that the FBI was looking for would be automatically erased after 10 unsuccessful attempts, so it wanted a workaround from Apple. The FBI later said it had gained access to the data and the court vacated the order on Apple. The agency had earlier informed the court that it was was exploring a solution suggested by an external organization. The agency has to date not disclosed the name of the organization or the hack that was used. Apple had refused to help the FBI create what it said would amount to a new version of its operating system, as it would weaken its security, besides being dangerous if such a method was out in the wild. Comey said the FBI is very good at keeping secrets and the agency has a high amount of confidence that the people it bought the tool from are very good at protecting it. In another lawsuit in New York, the FBI is demanding that Apple should help it extract data from a locked iPhone 5s running iOS 7 used by an alleged drug dealer. The government has appealed the case after a Magistrate Judge ruled in Apple’s favor.